More than one million Turks piled onto social media to call time on President Tayyip Erdogan on Tuesday, making the word “Tamam” (“Enough”) a trending topic worldwide after he promised to step down if the people wanted it. Soon after the speech, the #Tamam hashtag swept across Turkish-language Twitter, then became a global trending topic. “Time is up. 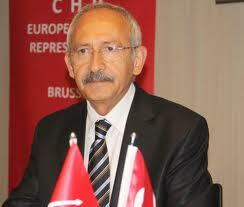 Enough!” tweeted and joined the online campaign Muharrem Ince, the candidate of the main opposition CHP. Social media has become the primary platform for opposition against the government in Turkey, where traditional media is saturated with coverage of Erdogan and his ministers. Erdogan’s speeches, usually two or three a day, are all broadcast live on major channels, while opposition parties get little to no coverage.